I have great passion in Gardening but time really does not permit me to be engrossed in gardening. Furthermore, I wish I could have acres of land to plant all the different kind of plants. 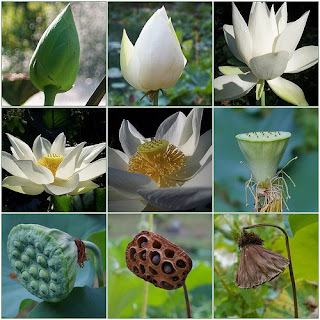 Among the plants that I adore so much are heliconias, ginger, plumerias, lotus and water lilies. I pray one day my dream will come true. 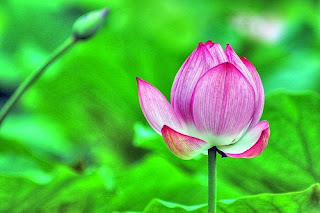 Today's article I like to share is about water garden i.e. 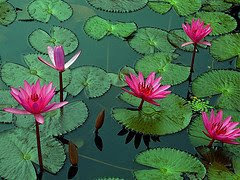 lotus and water lilies. These water plants are sensitive. I planted some before. I used to get it from Sungai Buloh nursery, Nursery in Jalan Kuala Kangsar Ipoh but it wasn't that successful because water lilies need big container. I just have to wait and wish I will be fortunate enough to have a big compound to start a water garden. I also used to buy the water lilies at Nova Blooms near Sungkai to increase my water lilies collections. Nova Blooms has a lot of varities and you can visit Nova Blooms at www.nova-blooms.com. They have a lot of Water lilies that you can choose from. Besides you could also join the water lilies societies world wide for example The International Water Lilies Society or iwgs @ www.iwgs.org. I hope my green friends will start creating a green environment around us.